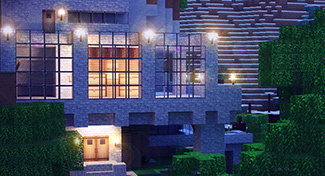 3Ds Max and VRay renders of a Minecraft world. I have been a technologist and computing enthusiast since my pre-school years, when I would spend hours causing 'out of memory' exceptions in my favourite DOS text editor, or drawing stick figures in MS Paintbrush on Dad's Windows 3.1 workstation. I soon moved in to film, then modifying games, and consequently, 3D graphics and C-like programming. I completed my entire schooling at Oxford Falls Grammar School on the Northern Beaches, and graduated from the HSC in late 2012.
psJump was a MIPS architecture and PlayStation SDK (PSXSDK) programming experiment written in C, and built with an open-source toolchain and library. The application executes on real PAL hardware with a simple subsector-spamming modchip (tested on a real SCPH-7502 and an emulated DTL-H3002 [Yaroze]). 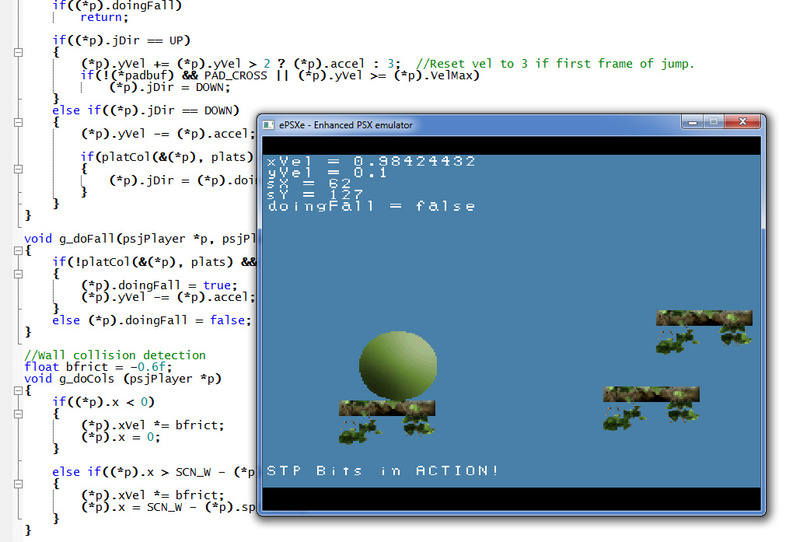 psJump demonstrates interfacing with the graphics synthesizer (custom TIM uploads to the GS, STP bits for per-pixel transparency, double-buffering), interfacing with peripheral hardware (reading bitmasks from the controller buffer and processing appropriately) and building with a cross-compiler for the MIPS architecture in a Unix-like environment (MinGW). The application was an experiment, not a game; there is no goal. 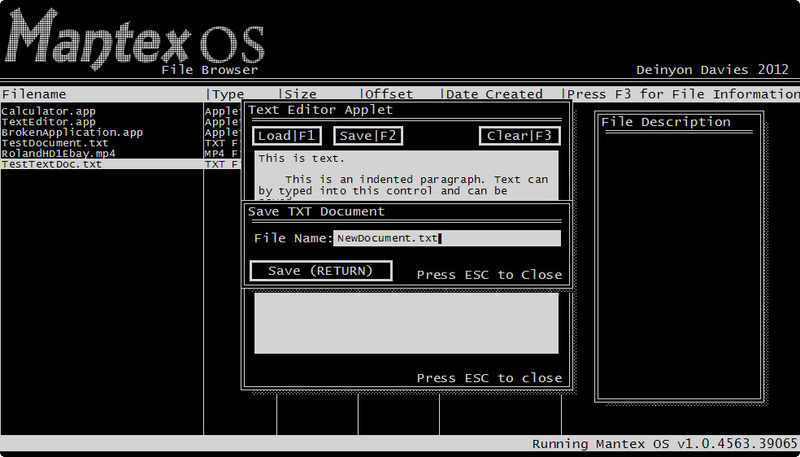 Mantex was a software package created for my HSC Software Design & Development major project. Mantex was an attempt at a virtual single-user multithreaded operating system, written in C#. It utilizes its own graphics library, filesystem, and is able to execute proprietary Mantex Applications from within its environment. 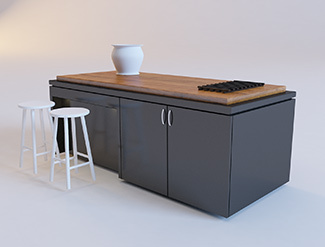 Applications make calls to the Mantex API to produce standard controls, which the ControlManager is responsible for drawing and interfacing with the user. The ApplicationManager is responsible for executing Mantex Applets (located on the Mantex filesystem) and providing the API. It was a very fun, and very useless project! My D3D9 hook DLL is a fake Microsoft Direct 3D 9 runtime library written in C++ that exports all of the same members as the real D3D9 library, so that all calls from the target game can be routed through my library first, and then to the real library. My library is then able to execute within the target application's process. I did not write the gluecode (import and export prototypes); I wrote methods to interface with Grand Theft Auto : San Andreas. The library has a few lines of inline x86 assembly which call existing GTA procedures. It is capable of spawning almost any vehicle by pushing the desired ID onto the stack and calling the same vehicle spawning function used by the SCM interpreter, getting a pointer to the closest vehicle and making changes to its handling configuration, drawing the player's coordinates with a custom D3D9 font object, and calling various cheat procedures at any time the video buffer is swapped. 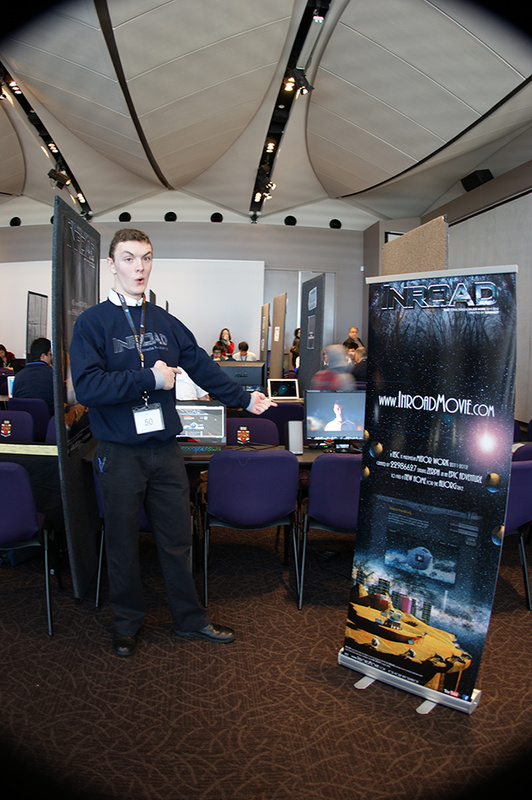 Inroad was my HSC Industrial Technology : Multimedia Major Work. 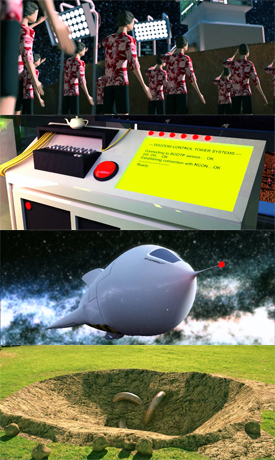 It is a short film, website, flash minigame and ~40,000 word management folio. It received a mark of 100% and won First Place in the Young ICT Explorers competition 2012 (years 11-12 division), First Place (Multimedia Module) in the 2012 University of Wollongong Industrial Technology competition and was nominated to be showcased at IndTech 2013 (awaiting confirmation). 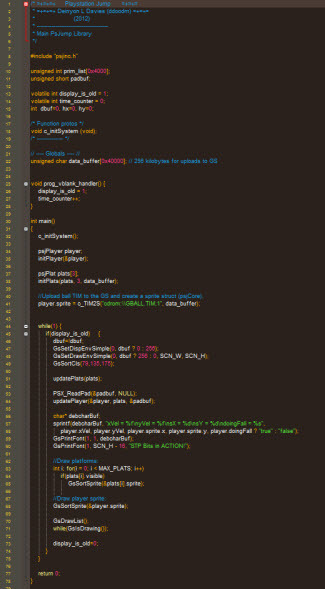 The website featured a secure PHP and MySQL powered user accounts system, allowing users to manage their own profile pages, make comments on content (the film, minigame and development images) and submit minigame scores to the High Scores database. I designed a custom CMS (Content Management System) visible to administrative users, to allow them to upload their images to the image gallery. The film showcased advanced effects composition in Adobe After Effects, 3D computer graphics (3Ds Max, VRay, E-On Vue9 and Mental Ray), 3D match-moving (Boujou), and sequencing in Adobe Premiere Pro. I ran a somewhat popular YouTube tutorial channel from early 2009 until mid 2010, when I ran out of ideas and time. The channel has had over 1.6k subscribers with a total of 697,150 video views since its establishment in mid-2006. Each video would demonstrate the use of a particular tool, or set of tools, to produce a fairly useless, but fun, result. 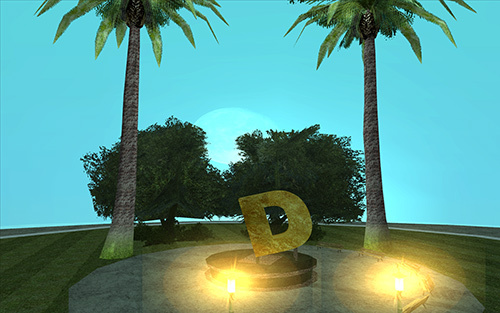 dGTA was a trainer modification for Grand Theft Auto : San Andreas, written in C# .NET. The application could access memory from outside its own AppDomain and would obtain a pointer to GTA:SA's AppDomain from a window handle (which I thought was pretty cool at the time). 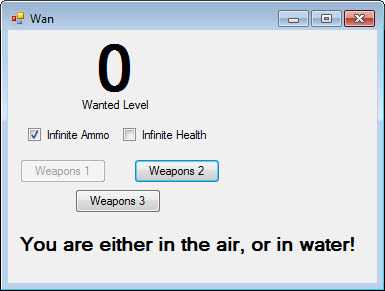 The trainer was able to modify player stats at runtime, display and log an integer of the player's wanted level, and modify vehicle handling properties by obtaining a pointer to the cPlayer, then to the car pool and then to the cCar. PodHoods was a WIP total conversion modification for Grand Theft Auto : San Andreas. It was a technical demonstration made to show-off creative exploitation. 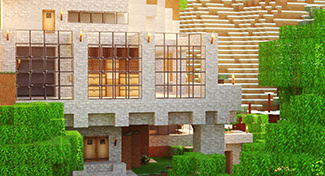 The map was modelled in 3Ds Max and sports prebaked vertex shading on many models, 2DFX entities and cull zones. This was one of my last GTA:San Andreas modifications. The Magic Mirror Frame was one of the first physical computing projects that I ever got around to completing. 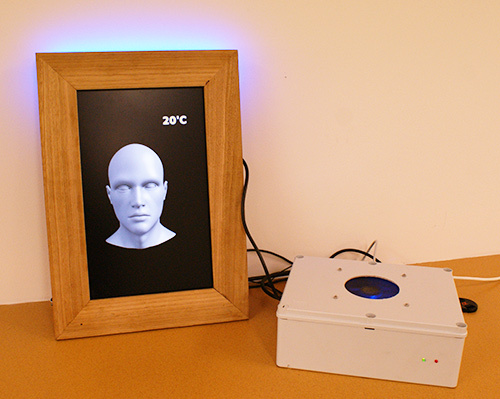 The project is a wall-mounted monitor and frame, with an Arduino (ATMEGA328 microprocessor), Thermistor, ultrasonic sensor and small Intel-based computer attached. When the user moves in front of the ultrasonic sensor, the Arduino communicates with a C# application (over serial) which displays the current temperature from the Thermistor, and has a 'magical 3D head guy' tell you a lame joke about the current weather. UTS FEIT Web Systems | Website Assignment by Deinyon Davies (11688025). Distributed under the Creative Commons Attribution-NonCommercial-ShareAlike 3.0 Australia license (CC-BY-NC-SA 3.0 Australia). This website is written in entirely W3C-valid XHTML 1.0 Strict and CSS level 3.